1710/13 (01): New organ by Arp Schnitger. 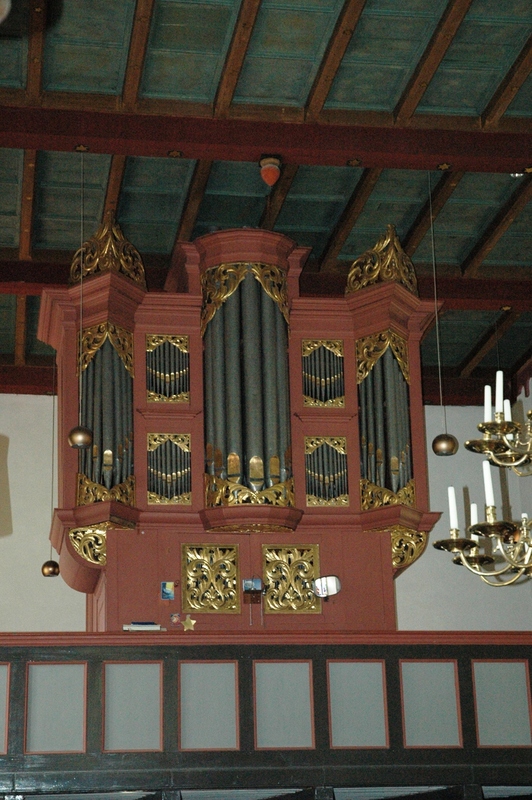 The old organ was sold to Waddens and installed there by Arp Schnitger. 1840: Changes by J.G. Schmid. 1913-1914: New organ in the old case by J.M. Schmid. Quintadena 16' and Principal 8' of Schnitger remained. 1961: New organ by Alfred Führer in the old case according the old specification and reusing the old Quintadena 16' and Principal 8' of Arp Schnitger. E-Mail from Ibo Ortgies from 8-6-2005: "Lt. Fock 1974, war das 1710-1713"